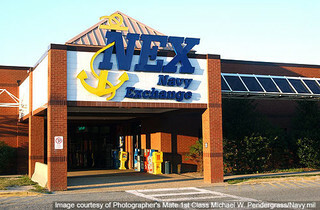 Discounts at the Navy Exchange are easy to find at MyMilitarySavings.com. As the #1 military shopping community, we’ve formed an exclusive partnership with the Navy Exchange to provide you with easy access to thousands of products and countless discounts. Finding the best deals on products for your home and family is as easy as clicking on the MyExchange tab on our homepage. There you’ll have one-click access to shop at the Navy Exchange website, find digital discounts, and enter contests. And when you’re finished finding discounts at the Navy Exchange, you can return to MyMilitarySavings.com and discover even more money-saving features. You’ll find manufacturer coupons that you can download and print for savings on some of your favorite brands, including BIC, Kellogg’s, PepsiCo, and many others. Quick access to the Defense Commissary Agency (DeCA) site makes it easy to clip and download hundreds of coupons onto your Commissary Rewards Card for significant savings at the commissary or PX/BX. Because we’ve partnered with DeCA, we’ll tell you about Hot Deals on meats, produce, and other items for maximum savings. You’ll find links to digital versions of the Price Connexion and Coupon Connexion flyers so you can see what’s on sale before you go shopping. Plus, you’ll even find savings on luxury items like automobiles, fragrances, vacations, resorts, and much more. To learn more about the discounts that Navy, Army, Air Force, Marine, and Coast Guard families are enjoying every day at MyMilitarySavings.com, join for free today on our sign-up page.